Both offerings are full to capacity, and applications are no longer being accepted. 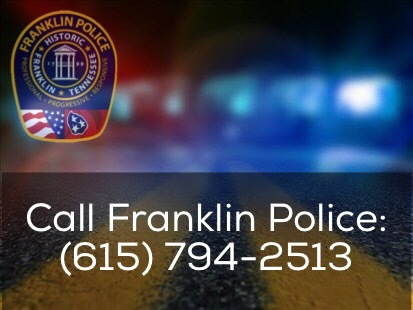 Follow @FranklinTNPD on Twitter for information on future classes when they are announced. In 2016, 47.6% of Williamson County crashes involved a licensed driver between 15 and 24 years old. Because vehicle crashes are the leading cause of death for teens in the U.S., Franklin Police and local businesses have teamed up to offer teens a unique perspective of life behind the wheel. To apply, complete this online application or visit FranklinTN.gov/TeenSafeDriving. A member of the FPD Traffic Unit will contact applicants to confirm their acceptance into our June 3 or July 29, 2017 offering. The class runs from 8:30am-3pm; seating is limited, and registration is required. Blue traffic lines were installed on Columbia Avenue, this morning, in front of Franklin Police Headquarters in recognition of National Police Week. This week, we remember all of the police officers who have been killed while serving America’s communities. As you drive by Franklin Police Headquarters this week, please remember the brave men and women who work here. Posted in: Media Release, Update. Tagged: Gober. Franklin Police are seeking witnesses who may have information about actions by anyone involved before, during, or after the motorcycle crash that killed 44-year-old Patrick Sturdivant last Wednesday night. The crash occurred shortly after 5:30 p.m. on E. McEwen Drive near Carothers Parkway. The 50-year-old Nolensville woman who hit Sturdivant was traveling east on E. McEwen when she initiated a lane change, colliding with the eastbound motorcycle that Sturdivant was driving. Traffic Reconstructionists from the Franklin Police Department’s Critical Incident Response team are investigating. It has not yet been determined if charges will be filed. Franklin Police: (615) 794-2513, ask for the Traffic Unit. The motorcycle driver injured in Wednesday night’s crash has died. The crash occurred shortly after 5:30 p.m. on E. McEwen Drive near Carothers Parkway. Patrick Sturdivant was critically injured during the crash. Sturdivant was rushed to Vanderbilt Medical Center where he later died. He was 44. The 50-year-old Nolensville woman who hit Sturdivant was traveling east on E. McEwen when she initiated a lane change, colliding with the eastbound motorcycle that Sturdivant was driving. Traffic Reconstructionists from the Franklin Police Department’s Critical Incident Response team are investigating. It has not yet been determined if charges will be filed. We are saddened by the Sturdivant family’s tragic loss. Franklin Police are seeking witnesses. Posted in: Media Release, Traffic. Tagged: Gober. Shortly after 5:30 p.m., officers were summoned to E. McEwen Drive near Carothers Parkway for a car vs. motorcycle injury-crash. 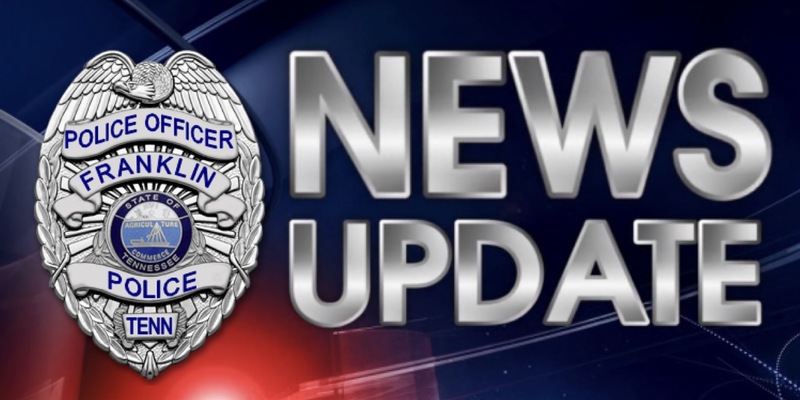 Arriving officers found the severely injured 44-year-old Franklin motorcycle driver off of the roadway, in an area of trees. Traffic Reconstructionists from the Franklin Police Department’s Critical Incident Response team determined that the motorcycle driver was traveling east on E. McEwen, just east of Carothers Parkway, when a 50-year-old Nolensville woman in an SUV, who was also traveling east, initiated a lane change and knocked the motorcycle into the curb. The victim was launched from the motorcycle before he collided with a tree. He suffered life-threatening injuries and is in critical condition at Nashville’s Vanderbilt Medical Center. No charges have been filed, but an in-depth investigation into the crash is underway. Investigators remain on-scene at this hour. The roadway is expected to re-open before 10pm. Friday night, the Franklin Police Department will conduct a sobriety checkpoint on S. Royal Oaks Boulevard to help stop impaired drivers. Checkpoints are one of the many traffic safety measures the FPD uses to prevent DUI crashes. 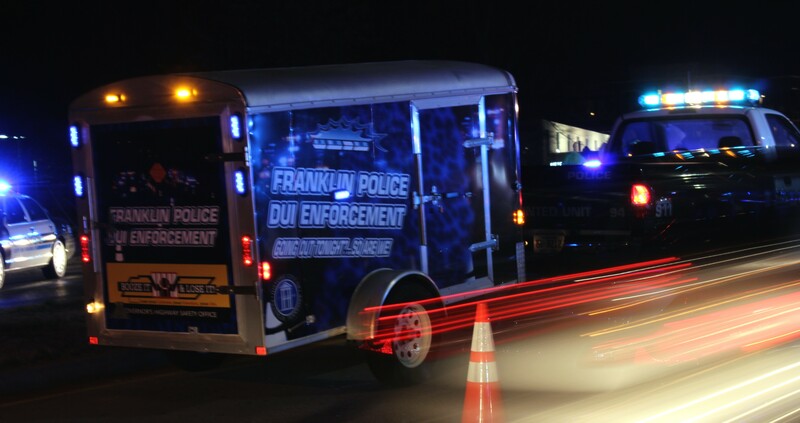 We ask Franklin drivers to exercise caution and never drive while impaired. Posted in: Community, Media Release. Tagged: Schuman. Seats go fast for this unique and popular opportunity. 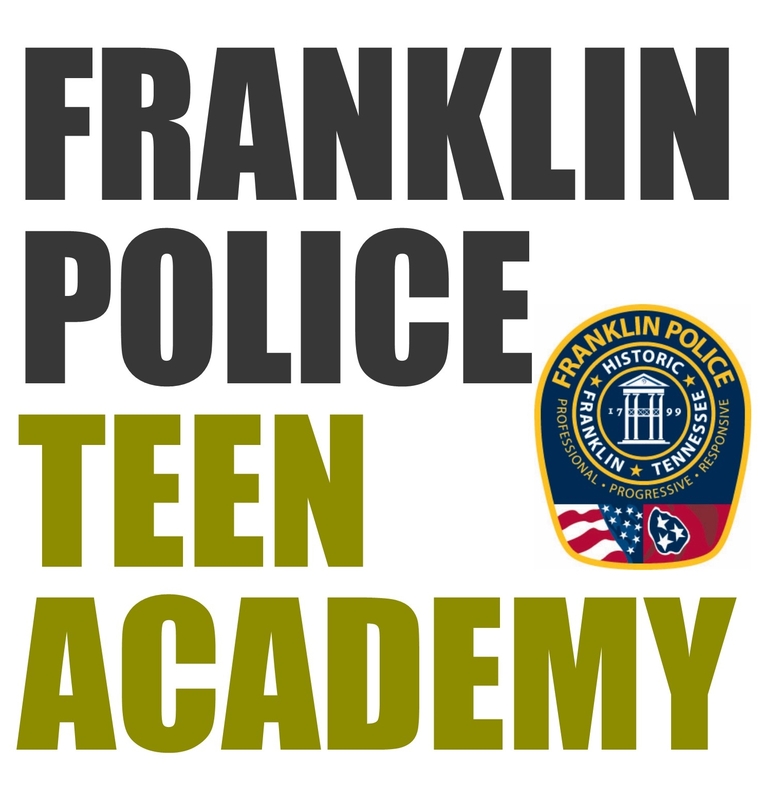 Registration is now closed as this year’s Franklin Police Teen Academy is full. Franklin Police are giving teens the opportunity to see a little bit of what life behind the badge looks like. The program, exclusively for Franklin teens, gives young people the opportunity to run police radar, process mock crime scenes, and see up-close demonstrations by FPD’s special units, like SWAT and K9. The series of four classes runs from 10am-12:30pm on June 12, 13, 14, and 15. Each session includes lunch, and applicants must commit to attending all four dates. The free program is open to teens, between 14 and 17, who live in Franklin. Click here to apply. Applications are being reviewed on a first-come, first-served basis, and will be accepted through Sunday, May 28. Seats are limited, so apply today.